Have you always wanted a mermaid-themed room in your house? Start with your bathroom! 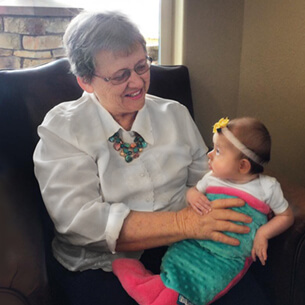 Not only does it provide the perfect opportunity to don a mermaid tail, it also involves smaller square footage that’s easier to manage during a total room makeover. Whether you’re fully renovating or just incorporating a few mermaid touches, start with these fish and mermaid bathroom ideas from HGTV, then keep on reading! What screams mermaid more than tiles in the shape of fish scales? If you search the net (pun intended) for fish-scale tiles, you’ll find a plethora of options in different colors and sizes. On a tight budget? Make your own DIY Gem Wall with bags of glass gems from any craft or dollar store! There’s actually a tutorial, and you’ll be saving some major sand dollars. Want your bathroom to have a brand-new feel? Give it a simple facelift with a new shower curtain! 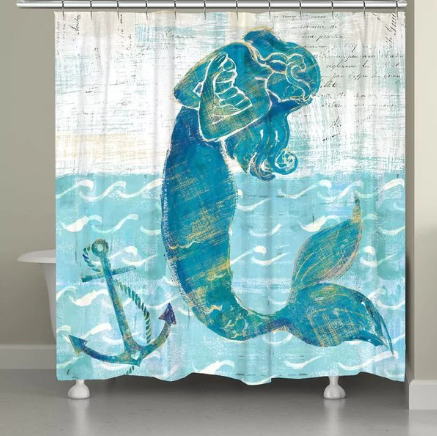 After fishing through several sites, we dropped anchor at Houzz’s stunning sea-lection of mermaid shower curtain options! 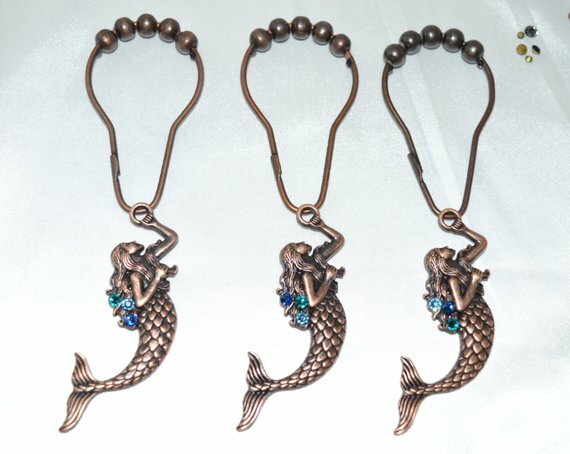 Swim the extra mile and add some mermaid-minded curtain rings to accentuate the overall look of your room. 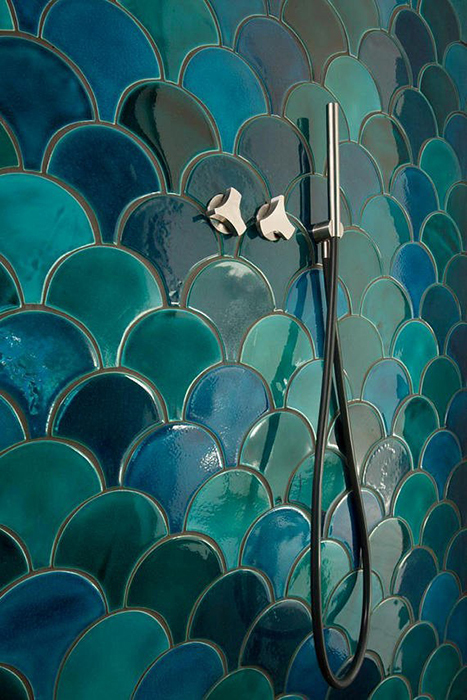 You can go full-on mermaid, or choose something beachy that can easily tie in with the look of your shower curtain. 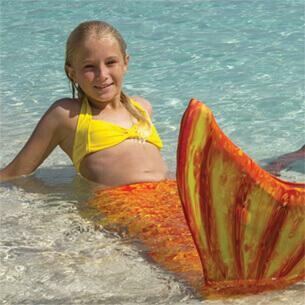 Think of all the treasures of the sea that you can add to your mermaid collection. There are mermaid mirrors, mermaid signs, and lots of mermaid artwork to appease any sea siren. But where do you start? A simple way to organize your ideas is to create a mermaid bathroom board on Pinterest. 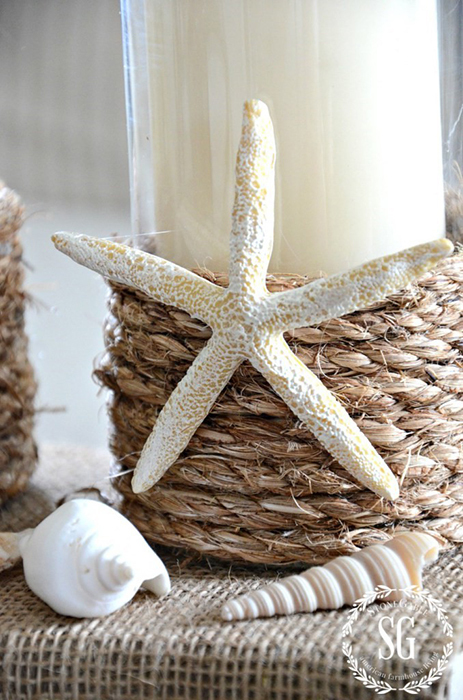 Check out Fin Fun’s Mermaid Bathroom Décor board, plus peruse these 34 Beach & Coastal Decorating Ideas for additional inspiration! 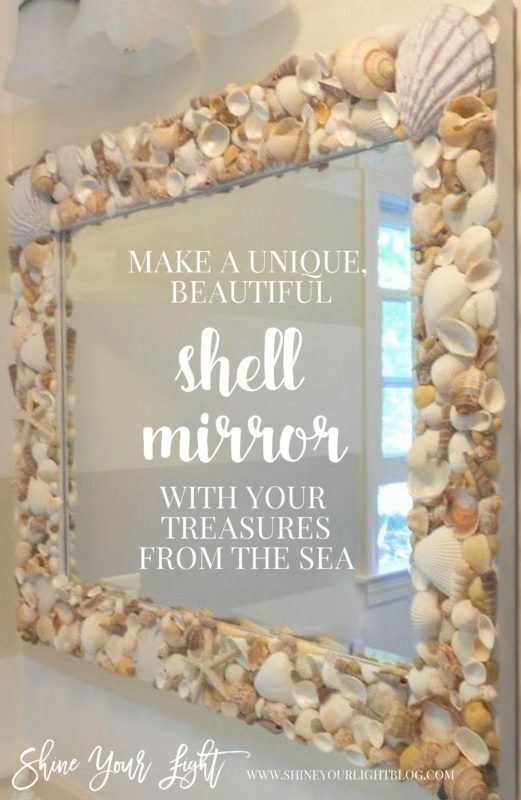 We especially love this DIY Shell Mirror by Shine Your Light. 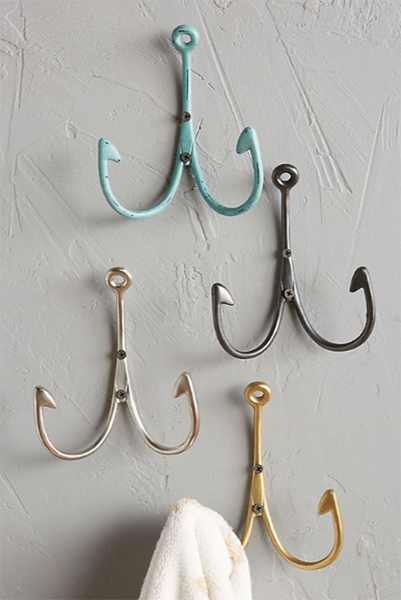 Hang your towels, robes, and especially your mermaid tail on a nautical hook with a one-of-a-kind look! There are so many styles floating around online that you’re bound to find one that’s perfect for your personal grotto! 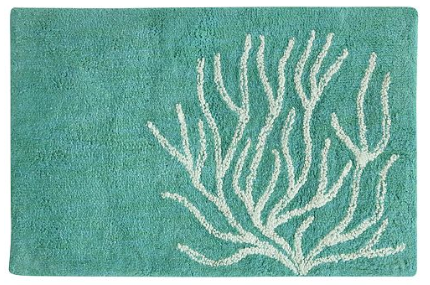 Keep your feet happy with a soft, plush rug of ocean colors. It’s an easy way to tie in all the hues of the room with a rug flowing with the color palette you’ve chosen. Go for a solid- color if you’ve got a busier look on the walls. 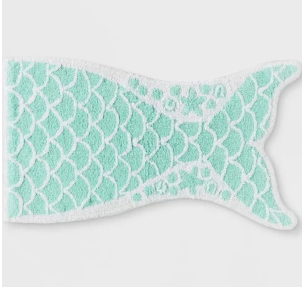 If your mermaid bathroom vibe feels more mellow, a mermaid tail rug is just the thing to get your houseguests talking! You can find many more rug options on sites like Wayfair and Overstock. Most mermaids would agree that a burning candle brings an ambiance of serenity to any living space. 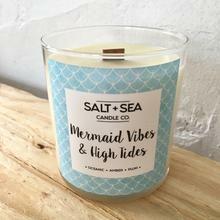 Snag your favorite mermaid-themed candle and start dreaming of the beach! We’re flipping for this wood-wick candle from Salt + Sea! Are you a do-it-yourselfer? With this easy tutorial from Stone Gable Blog, you can craft a candle set on the cheap, and feel as though you’ve added a personal touch all your own. Finally, let’s not forget the bathroom necessities! These are the things that keep a bathroom clean and running smoothly. Because after all, you can’t just throw trash on the floor! 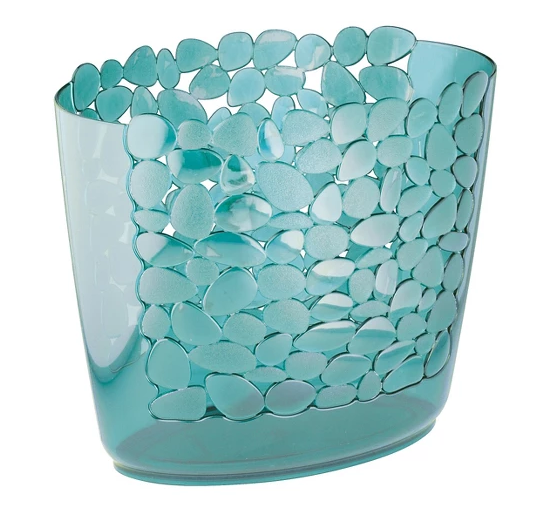 We love the pebble-shaped design that’s flowing through this solid-colored waste basket. Proof that even trash cans can look cute? We think so! 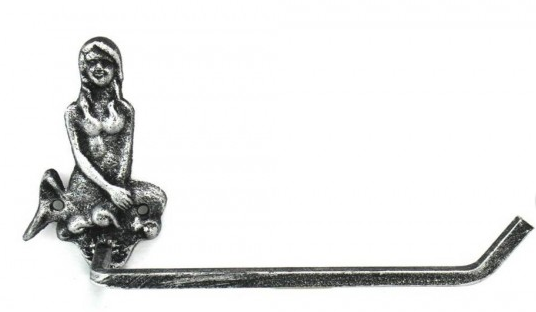 Even the towel ring and toilet paper holder can offer a whimsical look! Check out the level of rustic charm present in these particular treasures. Who wouldn’t want to be greeted with a smile upon entering the room? What would you add to your bathroom? 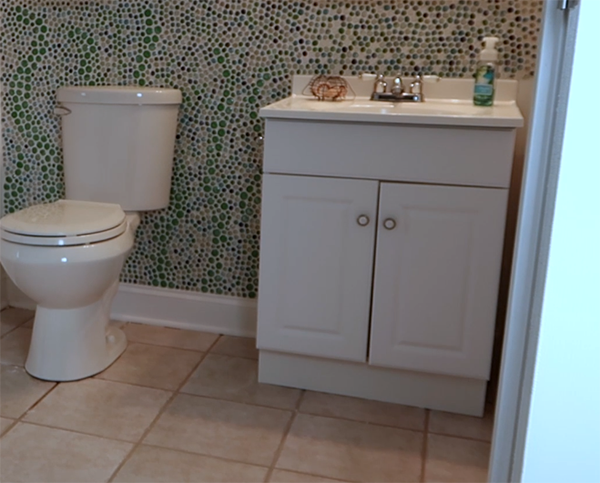 We’d love to see the details of your bathroom mermaid makeover! 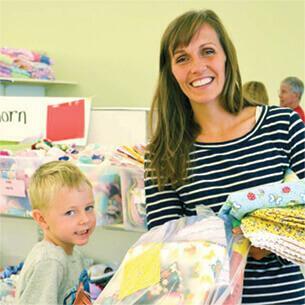 Send your before and after photos to social@finfun.com for a chance to win Fin Fun swag! So in love with these ideas! I am so doing some of them to my new bathroom! 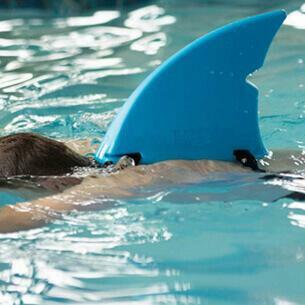 I meraeid tails are the best but I nerverververe had one at all because I do know how to swim that why.